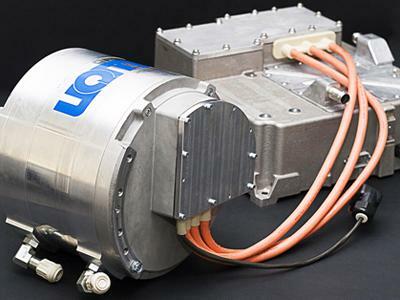 The U.S. Department of Energy (DOE) has awarded $3 million to UQM Technologies, Inc. for the development of non-rare-earth magnet electric motors for use in electric and hybrid electric vehicles. UQM will cost-share 25 percent of the $4 million effort under the development program. "We are pleased that the DOE has again selected our company to assist in advancing the state-of-the-art in motor and generator technology for electric and hybrid electric vehicles," said Eric Ridenour, UQM Technologies' President and Chief Executive Officer. "This DOE grant will help us apply our extensive experience with the design and engineering of electric motors to the exploration of non-rare-earth magnet motor technology. Our objective is to identify and evaluate magnet materials and technology that can deliver the performance our customers expect, broaden our product portfolio, potentially lower magnet cost and limit our exposure to price and supply concerns associated with rare earth magnets." Under the award, the engineering team at UQM will work collaboratively with Ames Laboratory, the National Renewable Energy Laboratory and Oak Ridge National Laboratory to develop and apply these new magnet materials in a high performance permanent magnet motor. "The goal of this new technology that we are developing will be motor designs that apply to a full range of vehicle electrification, from mild hybrid to heavy hybrid to full electric vehicles," said Jon Lutz, UQM Technologies' Vice President of Engineering. "We believe that our unique motor concepts coupled with our extensive experience in motor design will allow us to achieve the objectives of this program." UQM PowerPhase(R) electric propulsion systems have been selected to power the Saab 9-3 ePower, Audi A-1 etron and Rolls-Royce 102EX Electric Phantom pre-production test fleet vehicles. UQM is also powering Proterra's electric composite transit buses, as well as Electric Vehicles International's all-electric medium-duty truck and walk-in van. The company has a new facility with 40,000 units of annual production capacity for its PowerPhase electric propulsion systems.